Are you quite bored with serving your best sparkling wines in the same old glasses?! Well, here’s a simple and perky idea that will give both – you and your guests a new high! It’s easy. Just requires a few basic essentials and your patience. 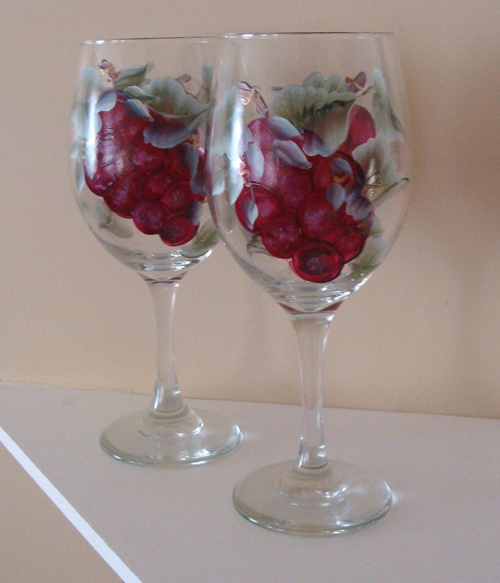 So do a funky theme; personalise glasses, if you may with names of your regular friend circle; or better still, try your own unique ways of painting just the stems or the base or embellish it with baubles or whatever takes your fancy. After all, it’s going to be a one-of-a-kind endeavour with no chances of duplication! 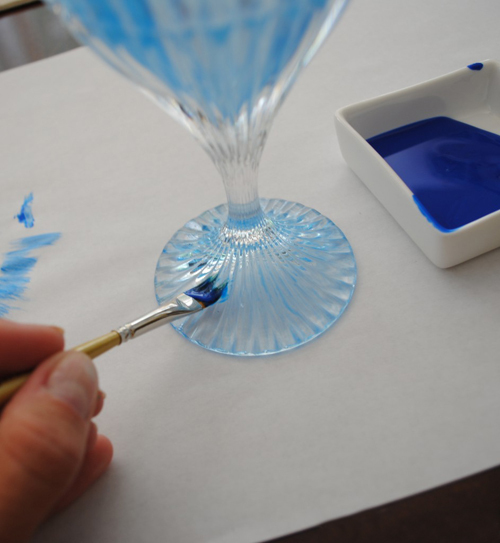 · Most glass paints are transparent. But if you prefer the opaque look, simply mix a little white glass paint with the transparent colour. · Pick out accents in your table linen like napkins, holders, placemats etc., and also in the trivia that you generally use for entertaining – hand-painted ceramic bowls, flat trays dishes etc. 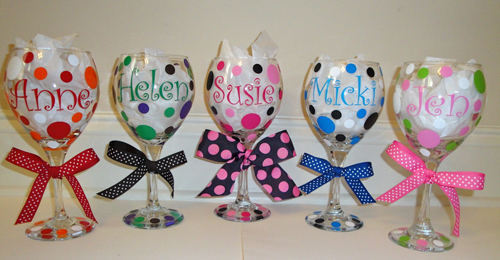 The wine glasses will make a beautiful complement when all your ware is laid!! Step 1: Trace the motif (either free-hand or using a stencil) on the glass. Step 2: Place the glass to be decorated over one of the motifs, close one eye and outline the image using the black relief paint directly on to the glass. It only works with one eye closed! Try to squeeze the tube evenly so the outline is consistent - you may want to practise on paper first. Step 3: Paint the glass in as many colours as you like. 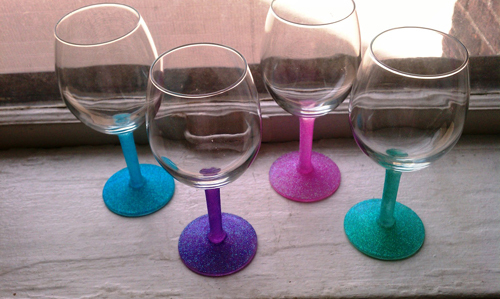 Several glasses, each painted in a different way look great, but it's up to you. Allow each colour to dry before using the next. Step 4: Paint inside the relief area using a contrasting colour so that the design has more impact (all glass colours can be mixed to produce different colours if required). Leave to dry overnight so they become rock hard. 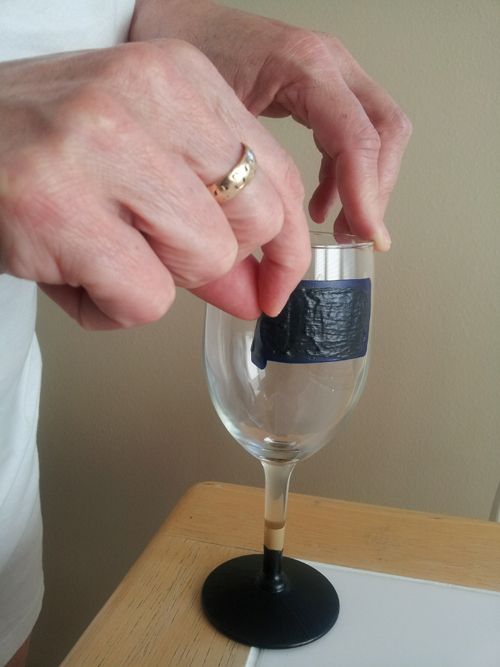 Step 5: When the glass is quite dry, etch into the painted glass with a closed pair of scissors. 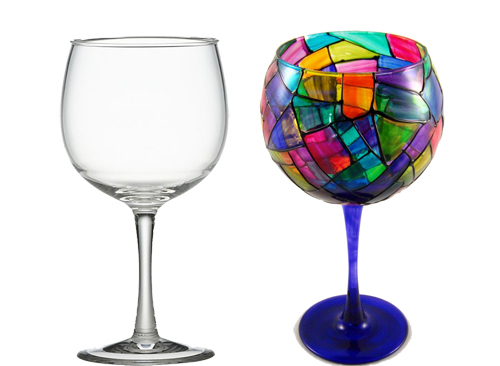 Around the base, rim or as it best appeals to your aesthetic sense; but vary your patterns on each glass. Caution: Glass paints dry to water - resistant finish. They are reasonably hard-wearing but should be carefully hand washed. No dishwashers please. 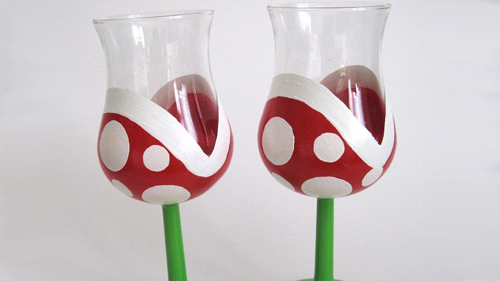 Use the wine glasses with élan and revel in your creations in the presence of festive guests!! Beautiful job with the artwork! 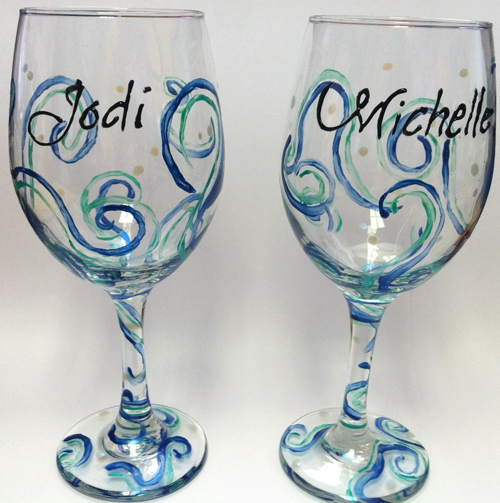 painted wine glasses is quite a simple task for those who consider it as such. It takes a short time to have it completed. This is advantageous to those who have frequent entertainments or in dire need of a gift to offer.